Melbourne is famous for its picturesque parks and gardens. Victoria is known as the 'Garden State'. In Melbourne's early development, Governor Charles La Trobe set aside parklands for people to enjoy the beauty of outdoor gardens. 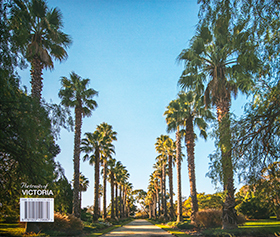 This book includes photos of the historic Carlton Gardens with the World heritage listed Royal Exhibition Building, which annually hosts the the immensley popular Melbourne International Flower and Garden Show. 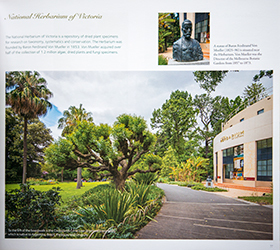 Melbourne's passion for natural beauty has led to the creation of hundreds of parks and gardens. The Victoria State Rose Garden, Footscray Park, St Kilda Botanical Gardens, the Royal Botanic Gardens Cranbourne, the National Rhododendron Garden and many more are breathtakingly beautiful and truly inspirational. From strolling through these luxurious gardens, to socialising at picnics and attending concerts in parks, Melbourne's parks and gardens breathe life into the city. The changing colours of each season bring new beauty, enticing visitors to return. Melbourne's parks and gardens are a place to dream, to be inspired and filled with joy. 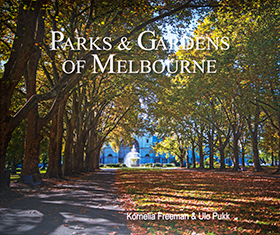 The book includes Melbourne's stunning Central Business District gardens and 145 beautiful parks and gardens from the suburbs and beyond.